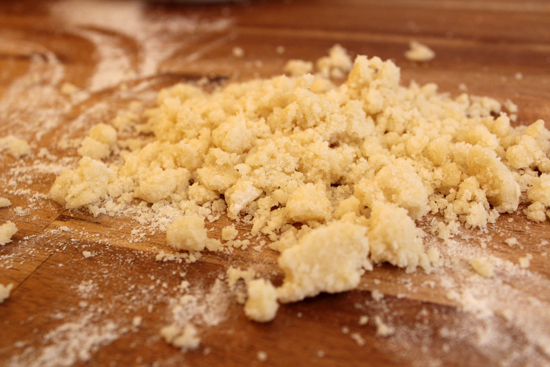 crispy crumble! 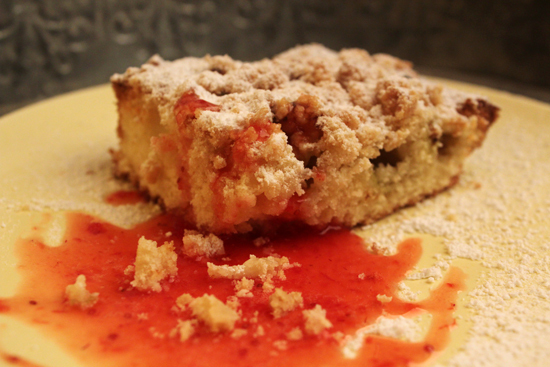 It tastes best with cream or fresh strawberry sauce. Mmh! 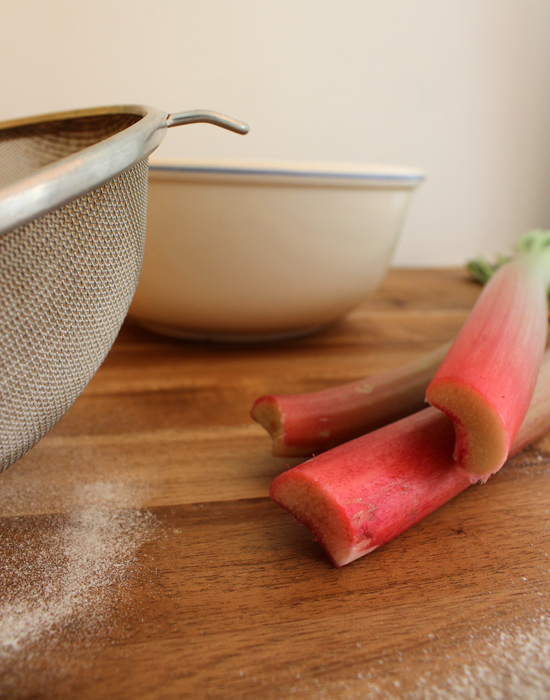 Wash and peel the rhubarb. 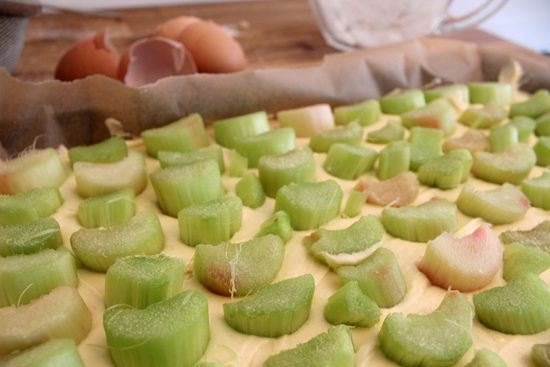 Then cut it into small pieces. 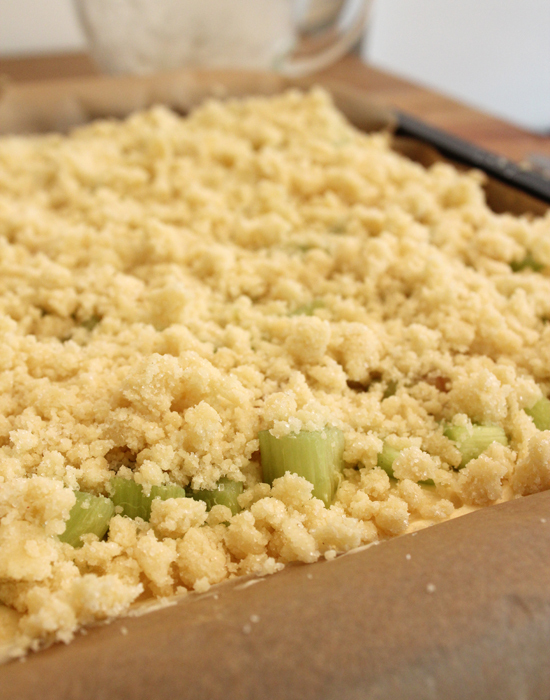 rhubarb and sprinkle with the crumble.